The intertestamental period is the Protestant term and deuterocanonical period is the Catholic and Orthodox Christian term for the gap of time between the period covered by the Hebrew Bible and the period covered by the Christian New Testament. "The Hasmonean dynasty (/ˌhæzməˈniːən/ ; Hebrew: חשמונאים‎‎, Roman. Ḥashmona'im) was the ruling dynasty of Judea and surrounding regions during classical antiquity. Between c. 140 and c. 116 BCE the dynasty ruled semi-autonomously from the Seleucids in the region of Judea. From 110 BCE, with the Seleucid empire disintegrating, the dynasty became fully independent, expanded into the neighbouring regions of Samaria, Galilee, Iturea, Perea, and Idumea, and took the title "basileus". Some modern scholars refer to this period as an independent kingdom of Israel. In 63 BCE, the kingdom was conquered by the Roman Republic, broken up and set up as a Roman client state. The dynasty had survived for 103 years before yielding to the Herodian dynasty in 37 BCE. Even then, Herod the Great tried to bolster the legitimacy of his reign by marrying a Hasmonean princess, Mariamne, and planning to drown the last male Hasmonean heir at his Jericho palace." From Wikipedia online 10-13-17. "Alexander Jannaeus (also known as Alexander Jannai/Yannai; Hebrew: אלכסנדר ינאי) was the second Hasmonean king of Judaea from 103 to 76 BC. A son of John Hyrcanus, he inherited the throne from his brother Aristobulus I, and married his brother's widow, Queen Salome Alexandra. From his conquests to expand the kingdom to a bloody civil war, Alexander's reign has been generalized as cruel and oppressive with never ending conflict. 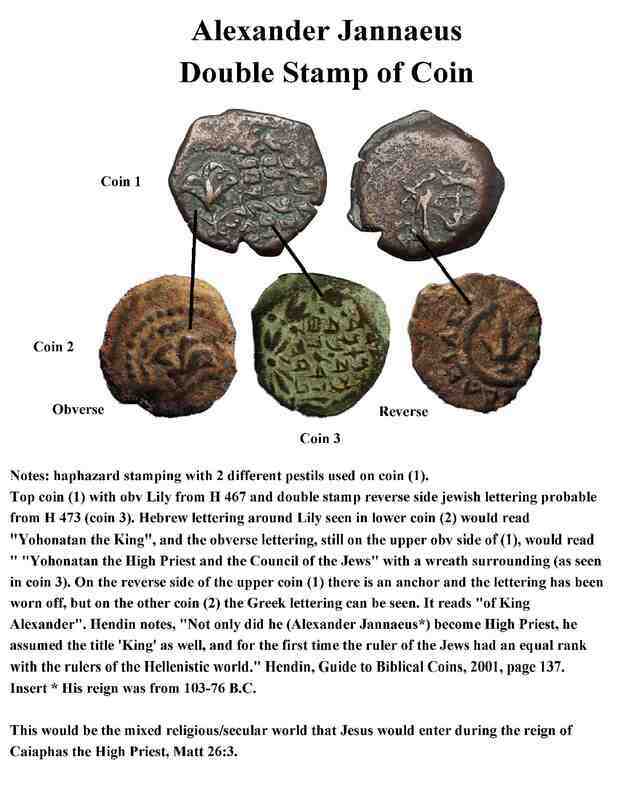 Although Josephus and other historians refer to him by the name of 'Alexander Yannai', his full name was 'Alexander Jonathan' as attested to by his coins wherein he calls himself 'Yehonathan the king'." 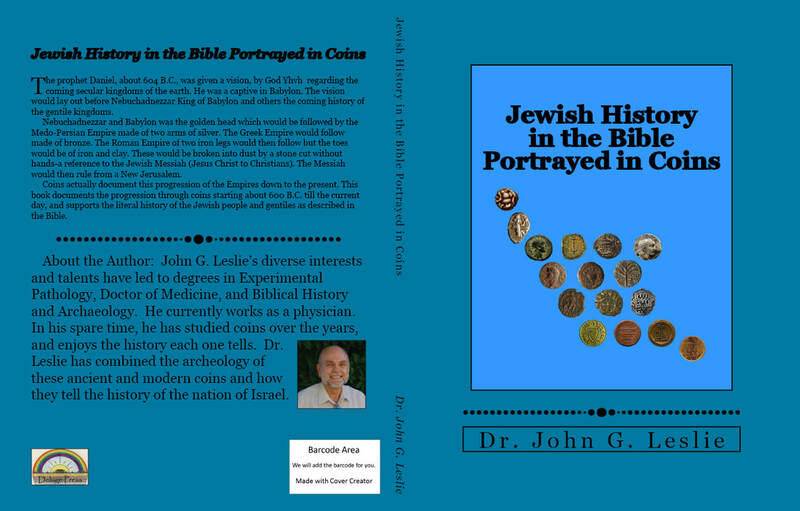 A book on the History of the Jewish People is available on Amazon.com Link is below.